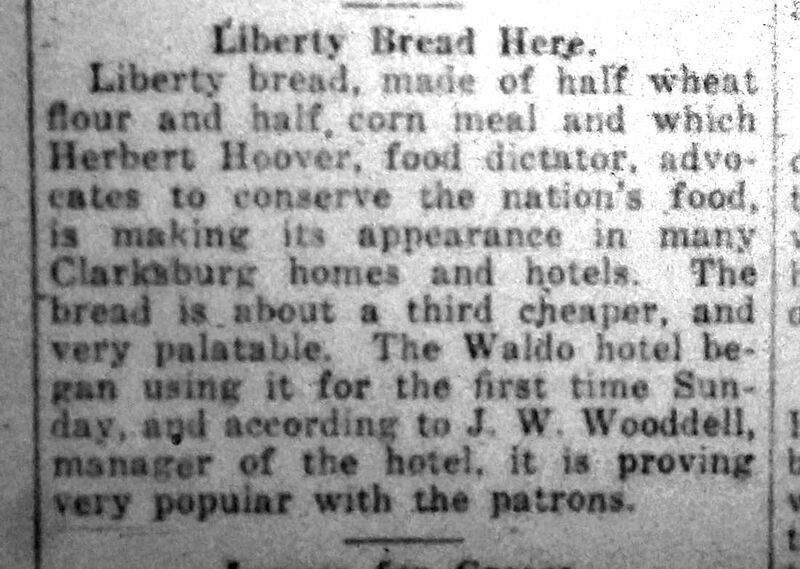 U.S. troops and allies needed sustenance in order to fight. 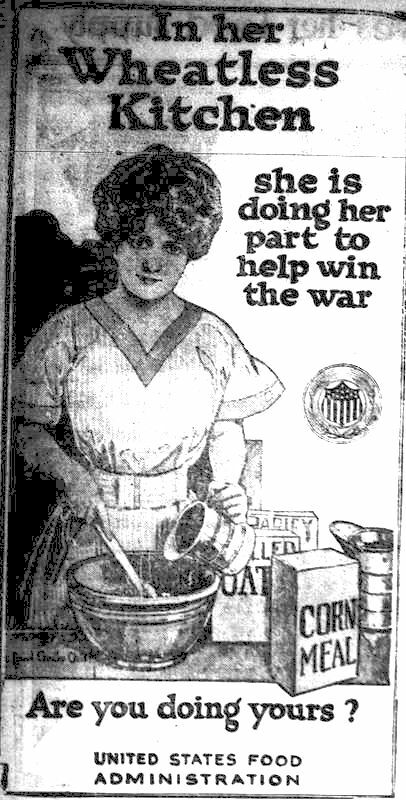 The U.S. Food Administration created a voluntary program that depended on Americans’ compassion and patriotism to support the war effort. 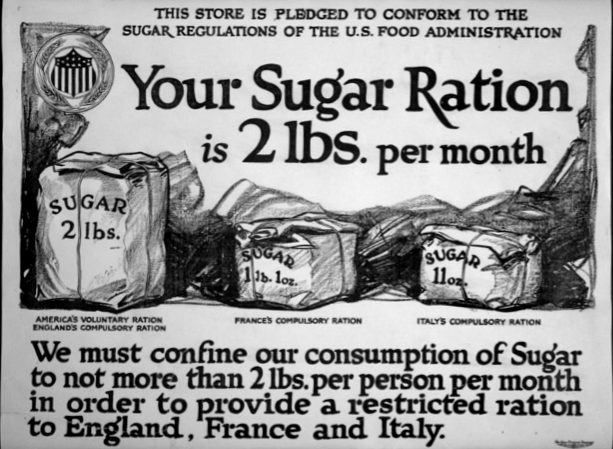 Posters urging citizens to reduce their consumption of meat, wheat, fats and sugar were shared throughout communities. Slogans including “Food will win the war” were created to urge people to avoid food waste. As a result of these efforts, food shipments to Europe were doubled within a year, while consumption in America was reduced 15 percent between 1918 and 1919. This book, published in 1918, included recipes based on the guidelines issued by the United States Food Administration. 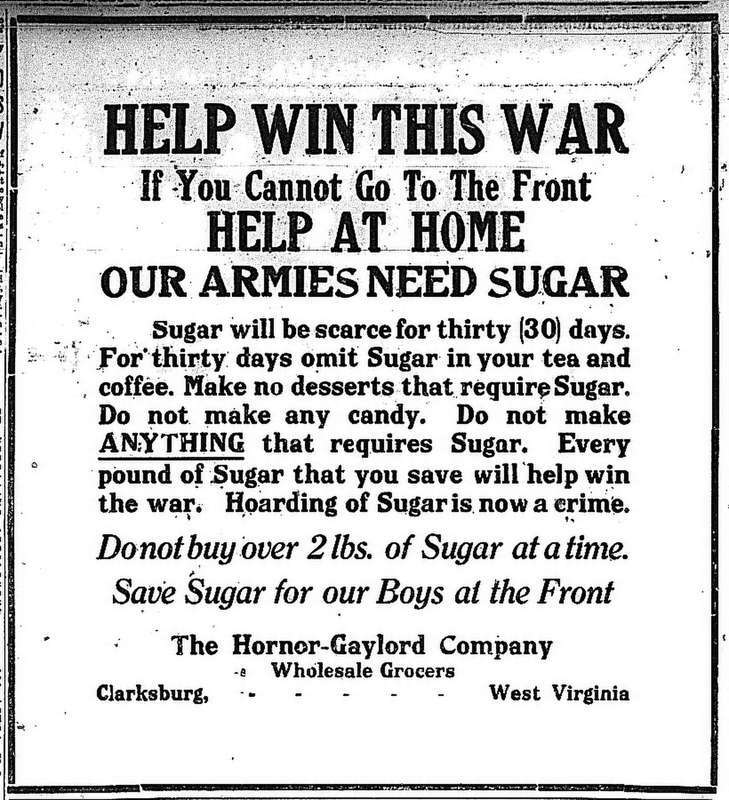 Click through to view recipes that would "help win the war"